The first stone was laid in 1659 and only two years later the church was completed along with the choir, the sacristy, the dormitory and other outside buildings. Paolo Galletti and his brother, the priest Anton Filippo (and then Francis G. Gamurrini) enriched the church with many works of art collected from other religious fellowships and suppressed churches in the sorrounding areas. The church had a private owner until 1999, when it was acquired by the Italian department of cultural heritage. 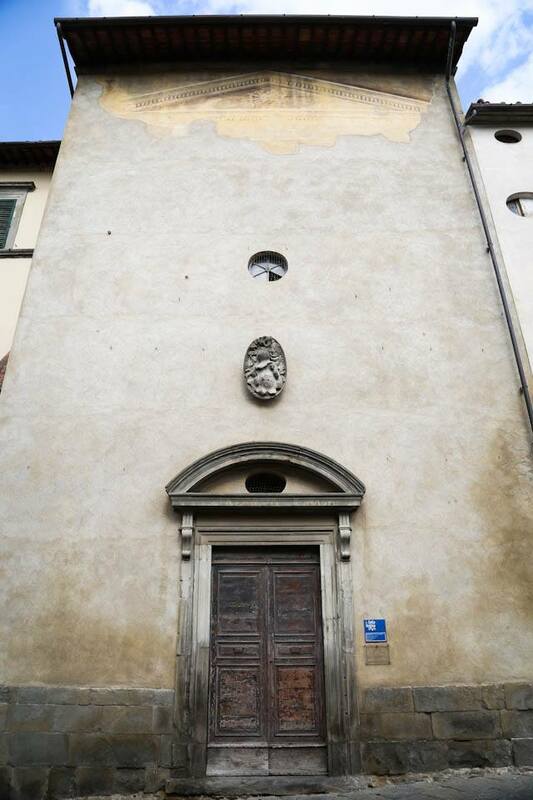 Inside, this church contains real masterpieces: a few ceramic wares by Della Robbia , two paintings by Andrea Sansovino, one located on the right and the other on the left, representing San Lorenzo between San Sebastiano and San Rocco and The Virgin and the Saints.